Summer is in full swing and so is back to college season. Can you believe it's almost August? I'll be entering my junior year at Emerson in Boston this fall, which is even harder for me to believe! Everyone who told me college goes by fast was right. Even though I have two years behind me and am used to college life, I always look forward to the annual dorm shopping trip. It's the time where I pick up a few things to give my dorm room a refresh. One of my favorite stores to go to is Bed Bath & Beyond, who so kindly sent me a gift card to spend on my city space. When I was shopping for college as a freshman, my local Bed Bath & Beyond was the first stop. I bought many items from the store which I still have today: a desk lamp, shower caddy, towels, bath mat, slimline hangers, storage, Command Hooks, and more. Their products truly stand the test of time. I can always find exactly what I'm looking for at this one-stop shop. I got some major dormspiration in Bed Bath & Beyond's bedding section. 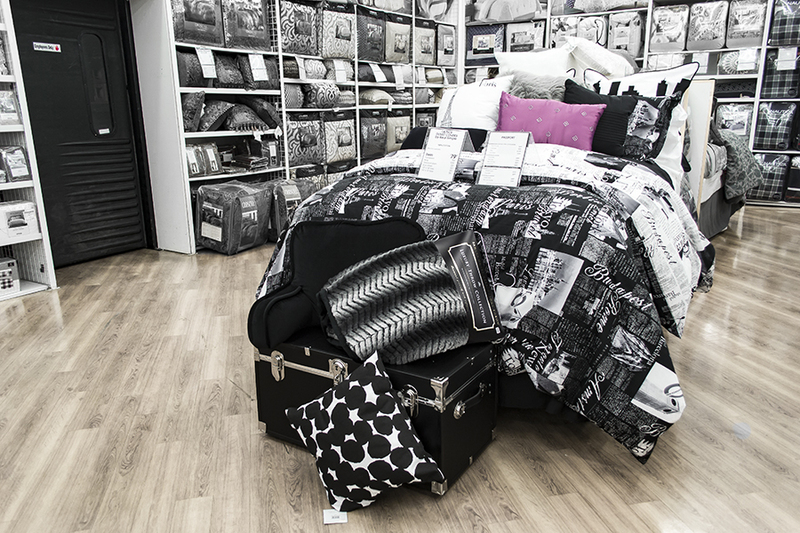 This black and white bedding set is fun and city-chic. I love how it's covered in postcards from cities all over the world. I was so inspired, I decided to do some interior decorating in store! I covered the bed in unique throw pillows and found a vintage looking trunk that would be perfect for storing spare linens and bath towels. What's great is this bedding set and a whole host of others come in Twin XL, which isn't always easy to find. I purchased the city skyline euro sham as it too perfectly suits my Boston home. I also ordered a Boston themed throw pillow online. 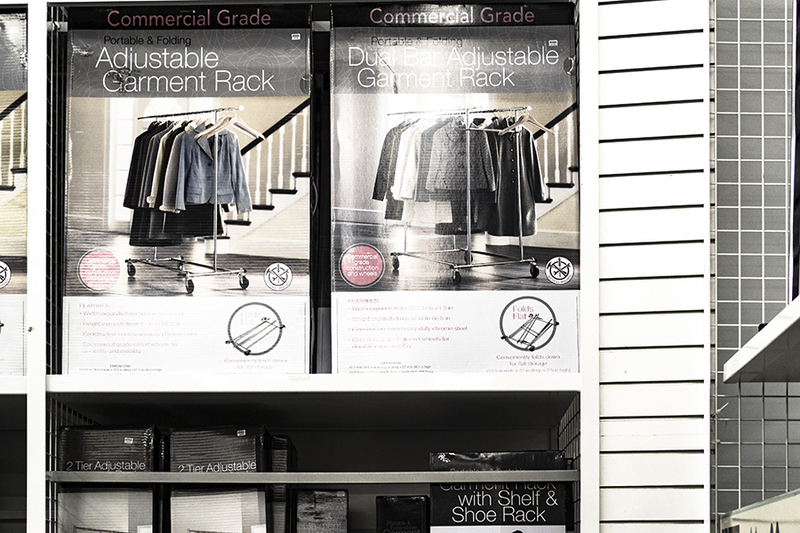 The last item I bought at Bed Bath & Beyond is a clothing rack, which has been on my wish list for ages. It's practical, portable, and will clear up precious closet space. I love the idea of displaying my favorite pieces in my wardrobe for aesthetics. After all, fashion is art. I plan to hang only black and white clothes on it, as my dorm room and sense of style are monochromatic. I'll be sure to write a dorm tour blog post when I am back at Emerson. 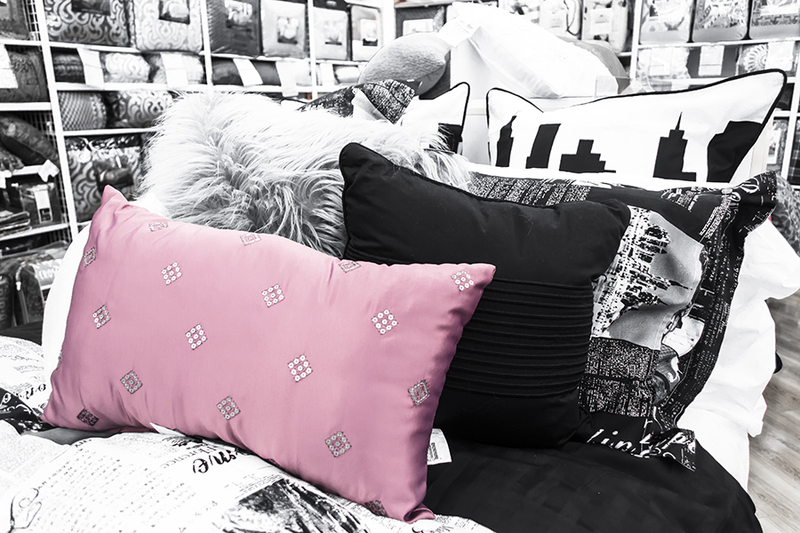 Whether it's your first year of college or your last, there's something for every student at Bed Bath & Beyond. 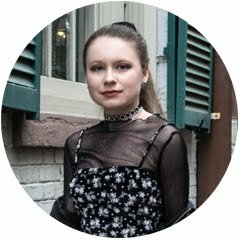 Shop my picks below!